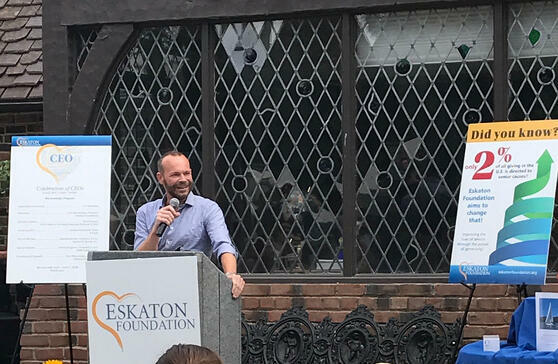 Sacramento, CA (June 2017) -- Stephen Bender, of the Warren G. Bender Co., named 2017 CEO of the Year by Eskaton Foundation. Stephen Bender, President and CEO of the Warren G. Bender Co., was recently named CEO of the Year at an Eskaton Foundation gala attended by more 300 executives. The annual Eskaton Foundation Celebration of CEOs was held at a Crocker Road estate in Sacramento, CA. Founded in 1938 by Warren G. Bender, the family-owned business prides itself on the simple foundation of honesty and integrity. Stephen Bender joined the company in 1972, became President in 1986, then CEO in 2003. As CEO, he is dedicated to instituting the founding values of the Warren G. Bender Co. and achieving the vision set forth by its owners and employees: To be the finest, independent, locally owned insurance and risk management brokerage in its marketing region, serving the best interests of its clients and communities. 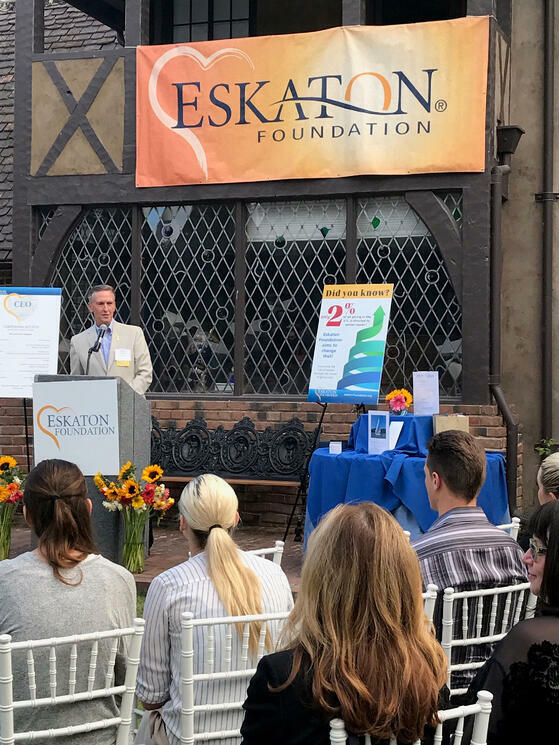 Eskaton Foundation’s Philanthropic Partner Program creates meaningful partnerships with companies that help reach target audiences, engage employees through volunteerism and deepen relationships with customers while meeting corporate citizenship goals. Eskaton Foundation believes that seniors are visible, not invisible. It believes that seniors can grow older and bolder as they age. With only 2% of all giving in the United States directed towards senior causes, Eskaton Foundation is aiming to change that. It believes seniors matter. For more information, please call (916) 334-0810, or visit www.eskaton.org/foundation.